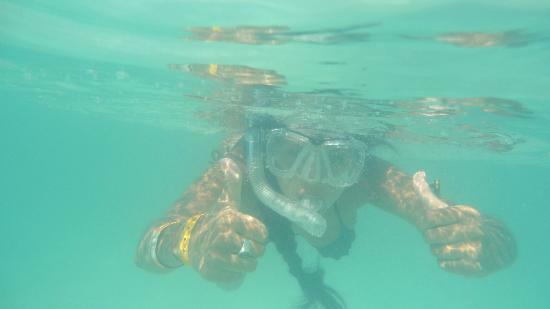 You are here: Home / News / Where to find best snorkeling in Akumal? As the name itself suggests, Akumal is the land of turtles. Tourists in large numbers make sure that they experience the unique opportunity of snorkeling with turtles. As the destination falls between Half moon bay and Akumal bay hence the region is varied and each spot has its own distinction. One can find more resident turtles and calmer water at Akumal but less boats and crowds in Half Moon Bay. Marine life is rich near the rocks on the left of the boat channel. One can find few Moray eels and sunken cannons in that area. One will find fish balls, barracuda and groupers to the right of the boat channel in front of the Akumal Dive Centre. Squids can generally be found on the shallow water above flat rock in the middle of the bay. Blue Tang schools of fish are abundant in shallow water by the coral. Rays (Eagle and Stingrays) can be found in the sand area in front of the Moon Rise Bar. Snorkeling amongst the rich marine with colorful fishes and coral make it a delightful experience. Visitors therefore place it on the top in the things to do in Akumal list.